BV Dairy sees its roots hail from a farm at the head of Cheddar Gorge in Somerset where William Frederick Highnam and his wife, Lucy Maud, farmed. There was no electricity or running water and in these early days, between the wars, making clotted cream by scalding the milk on the farmhouse range and skimming the cream off the surface was the ideal way of extending the life of the creamiest part of the fresh milk with the by-product, skimmed milk, being used to feed animals. In 1932, leaving his brother, Fred, in Cheddar farming and running a dairy processing company and Highnam’s Dairy, William, Lucy and their family moved to Luton Here they farmed Farley Farm and continued producing milk and cream, including clotted cream. As accredited milk producers they offered ‘clean milk, milked by machine and delivered in bottles from the farm’. 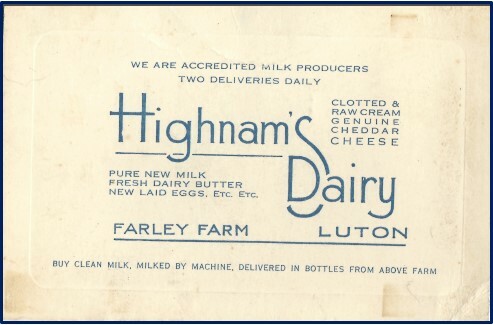 Highnam’s Dairy in Luton offered a door-step delivery service supplying pure new milk, fresh dairy butter, clotted and raw cream, genuine cheddar cheese and new laid eggs delivered twice a day. In 1946 Farley Farm was purchased by Luton Council as building land. Everything was sold including 96 Dairy Shorthorn cows (most individually named) that were described as ‘mostly home-bred and well-bred young dairy beasts, carefully selected for type and milk production’, a Gascoyne Milking Machine (in good working order), six milking stools, a heap of old iron and a quantity of useful timber!! Having married Audrey in Luton in 1937, William John Highnam (known as Jack) returned to the West Country purchasing Dairy House Farm, Church Hill in Kington Magna on the edge of the Blackmore Vale in North Dorset – an area named ‘the vale of the little dairies’ by Thomas Hardy. 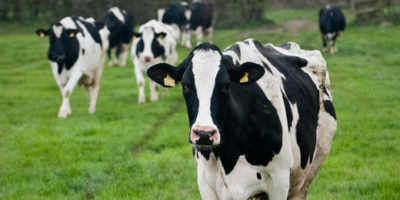 They farmed and started to replicate the Somerset business in producing clotted cream. During WWII Jack acted as Air Raid Warden in the village and after the war took advantage of the suspension in rationing being one of the first people to obtain a licence to sell cream. From selling his creams at stores along the A303 this licence heralded the start of the development of the business beyond just clotted cream and the customer base increased with the addition of hotels and restaurants. Jack and Audrey extended the milk production business by taking over the running of Lower Caggypole Farm in the neighbouring village of Buckhorn Weston and continued to bottle milk on the farm. 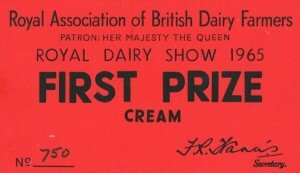 Any surplus was sent to Gillingham Dairies for separation, the cream being sold under the Highnam’s Dairy name. 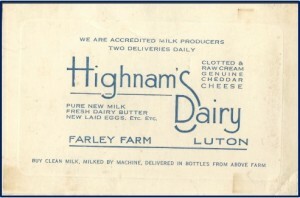 Eventually, Highnam’s Dairy brought out Gillingham Dairies. 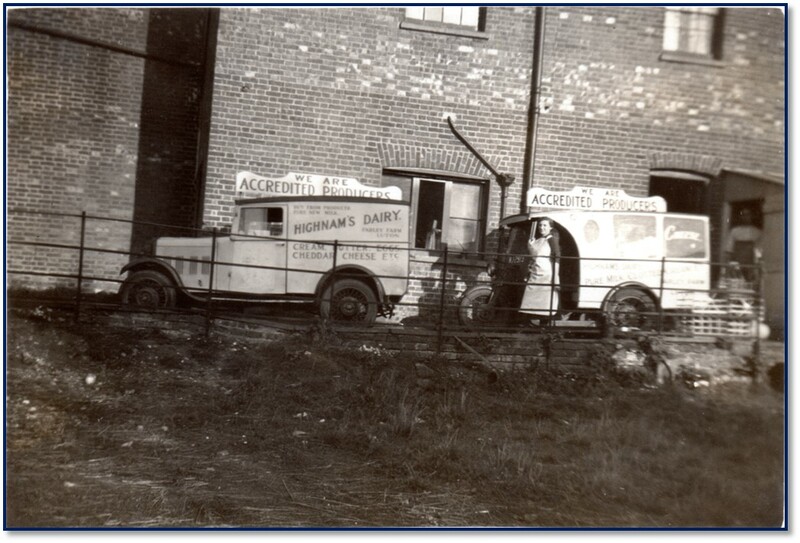 In 1948 the move was made to Old Rectory Farm, still in Kington Magna and in 1958, having sold their dairy herd, Jack and one of his sons, Christopher Highnam, formed Blackmore Vale Farm Cream Ltd. They started purchasing milk from 3 local farms and specialised in the production of cream, clotted cream and other premium dairy products. The remaining skim was sold to the pig production side of their business that was run by one of Chris’s younger brothers, Eddy. 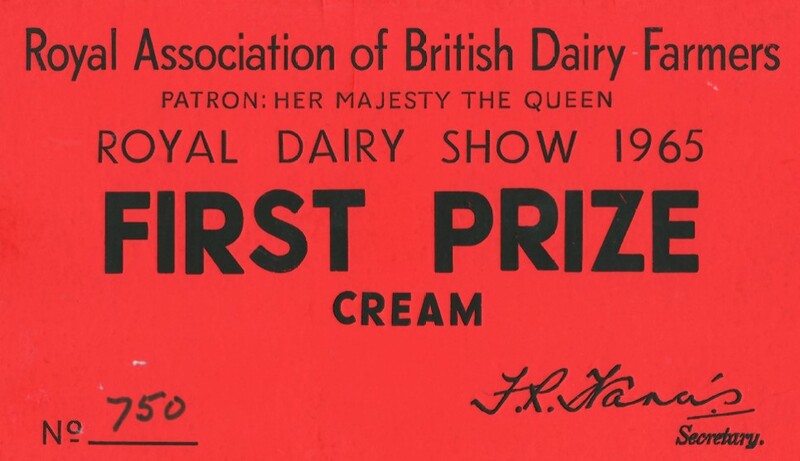 1965, just 7 years after registering the Company, saw Blackmore Vale Farm Cream Ltd’s clotted cream win first prize at the Royal London Dairy Show, run by the Royal Association of British Dairy Farmers Show – a fantastic achievement for a small, independent company. Many other awards have subsequently followed over the years. 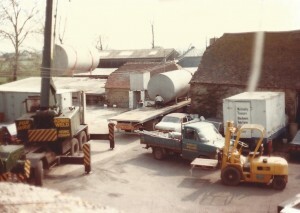 At the time, Blackmore Vale Farm Cream Ltd employed about 20 staff in production, packing and distribution. Deliveries were made by unrefrigerated vehicle between Bristol, Bournemouth and Exeter to shops, supermarkets, hotels, bakeries and restaurants. Even now, staff from those days remain at BV Dairy and the stories of the Christmas Eve drink with Jack Highnam are the ‘stuff of legend’. The mid 1980s brought about an awareness of saturated fats and a growing interest in reduced-fat products such as semi-skimmed milk. This meant that it would be necessary to diversify and expand the product range. With an ever expanding business new premises were needed and in 1985 Blackmore Vale Farm Cream Ltd relocated to the present site at Wincombe Lane just 8 miles from Old Rectory Farm and still within the beautiful Blackmore Vale. Moving into the old Second World War Wireless Station required substantial investment and presented many challenges both physically and with regard to the community in the area, however, the Dairy successfully integrated into this slightly more ‘urban’ location. 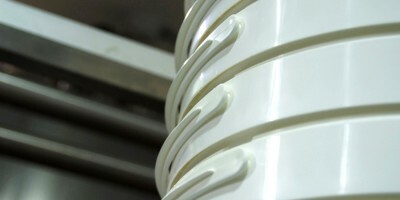 Investment has been ongoing with the addition of a new facility for the production of cultured cream products in the mid-1990s. 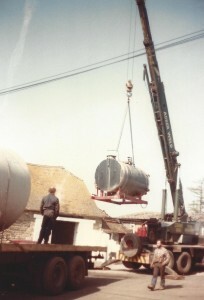 2003 saw the expansion of the bottled milk business maintaining the supply (including doorstep deliveries) of quality, local milk into the local community – something close to the heart of the business. 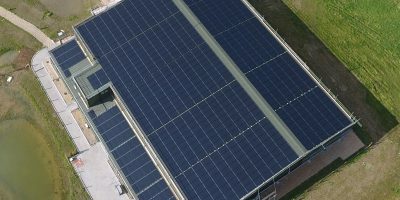 In 2004 a World-Class UF (Ultra Filtration) facility was commissioned for the manufacture of soft cheese and in 2010 with an innovative, state of the art Anaerobic Digestion system was installed at the Dairy to treat effluent from the manufacturing processes and to provide energy for the business. At the time this was considered to be a ground breaking demonstration plant for the dairy and for all other food processing sectors. 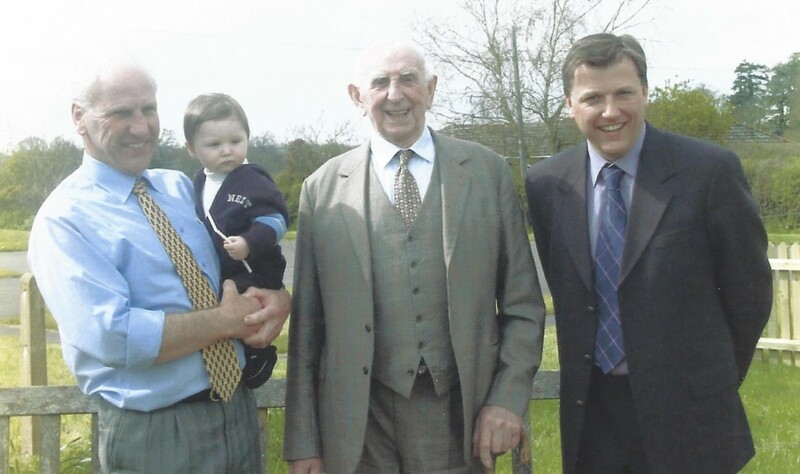 Jim Highnam, right, with his father Chris, left, and grandfather Jack, centre. Jim Highnam, the current MD, joined the Company in 1991 and on the retirement of his father, Chris, in 2001 re-branded the company to ‘BV Dairy’. Jim, the third generation of Highnam at BVDairy, continues to grow the business and the Dairy is committed to using the latest manufacturing technology to supply consistent top quality products and has a high technical emphasis with modern industrial computers ensuring the consistency of output. Stringent Food Safety Regulations across the business from the raw materials received from our local farm suppliers to the processes in the dairy and traceability and quality consistency in the products sold means that things have moved on a long way since the days when clotted cream was made on the top of the farmhouse kitchen range! 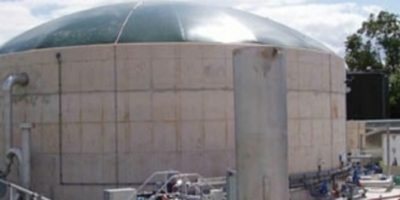 BV Dairy now employs in excess of 120 people. 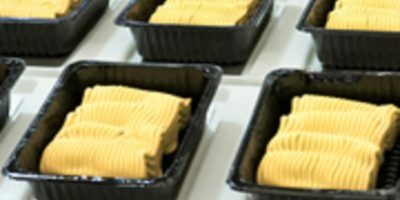 It has its own chilled distribution fleet supplying the dairy’s extensive range of fresh products into premium food manufacturing locations where they are destined to be found in all the major multiples and into the food service sector and some of the UK’s finest pub and restaurant food.